The premise for this movie is that the character which Henry Rollins plays has been walking the earth for a very long period of time. The further you get into the movie, the more he reveals about his condition and who he actually is. A tortured soul being punished for the most grievous of all sins; the very first murder. Can Henry Rollins act? For the role of this character, Iâ€™d say that â€œyes, he can actâ€. This character is a very fucked up man. He has a lot of emotional problems and has extremely bad luck in the way that he draws unsavory characters into his life. He speaks in short, blunt phrases that do not give the listener enough information to discern what it really is that he is talking about. Further questioning brings out more short, blunt phrases which added up give you enough information to figure out what the hell he means. He goes by the name, â€œJackâ€ in the story but he in time reveals that heâ€™s been called other names during the decades, and centuries that heâ€™s been alive. Jackâ€™s problem is that he cannot die, even though he gets beat the hell up by the unsavory characters he has to deal with and he is left to suffer from the scars and bruises he receives. He Never Died is a blending of supernatural horror film and black comedy, so be prepared for weirdness and gore. One thing that I didnâ€™t really like about the story was that Jack seems to be pretty defeated by the life heâ€™s led. He would sleep all day if he could get away with it, but for some reason he just keeps running into people that donâ€™t like him and want to cause him harm. Heâ€™s pretty much the meanest mother-fucker in the land though, and no one that crosses his path ends up smiling. He knows what it is that he did wrong in life that brought this curse upon himself but he seems resolved that there is nothing he can do about it. As far as how well this film was made to exemplify Henryâ€™s acting skills, itâ€™s a fairly low budget operation and with sparse special effects (other than pretty impressively manufactured sound effects), I think the producers and director pulled off a very effective feat. Henry is low key and morose and the plotting and cinematography match his grungy centuries tired characterâ€™s mood and energy. There is more to the plot than I am giving exposure to here. There are people in the story that have personal connections to him, an ex-wife that he hates, a waitress at a greasy spoon restaurant that is trying to figure him out, and a grown-up alcoholic daughter that he never knew he was the parent of. I heartily recommend watching this film if you are a fan of Henry Rollins, or if you are a fan of low-key horror. 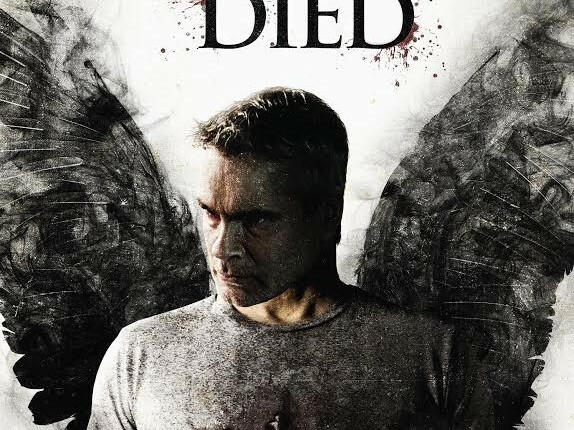 I heartily give He Never Died an 8/10 rating.